Following its success as an avant-garde menswear boutique over the past two decades, The Library had lost sight of its brand identity — and with that, its original philosophy. Given their niche offering, the boutique needed to connect with a highly specific audience whilst regaining a presence within their sector. We strategically highlighted The Library’s original philosophy of an exclusive fashion library, through the creation of a new website. Echoing the retailer’s use of the Dewey Decimal System to arrange its items, we featured curated collections themed around book genres on the website to highlight The Library’s original philosophy whilst renovating its visual identity. With the use of new imagery and copy we created a visual narrative around The Library’s space and product, creating a new visual identity that speaks to the brand’s highly specific audience. Whilst boosting page views and reconnecting The Library with its clients, the new website also serves as an e-commerce platform. We produced e-commerce imagery with a focus on limited items, highlighting the individuality of each piece as a carefully curated part of the store. As our work with The Library continues, we look to further the boutique’s newfound identity by sculpting an encompassing campaign. With the idea of creating a culture around The Library in mind, the campaign serves to revive its presence as a cultural hotspot, and not just a retailer. 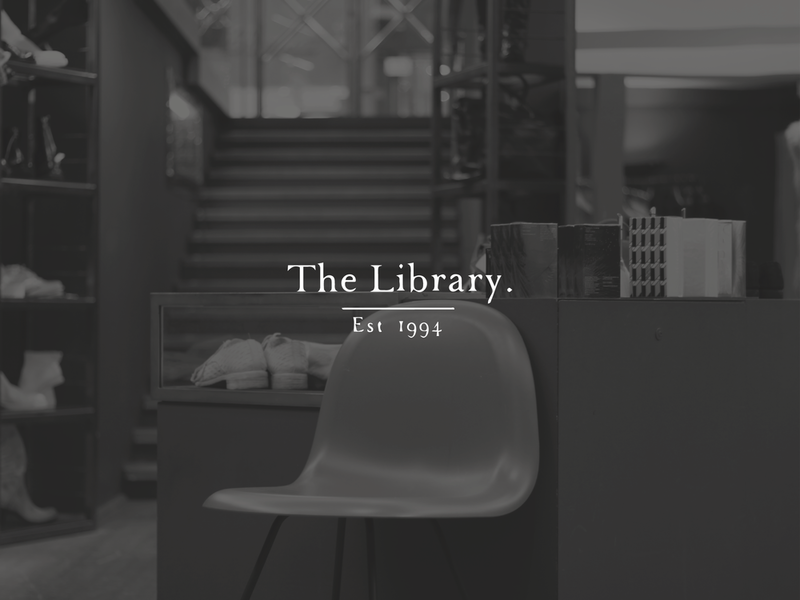 We worked with The Library 1994 to renovate its visual identity, reconnecting the luxury fashion retailer with its clients.